A la carte pricing. 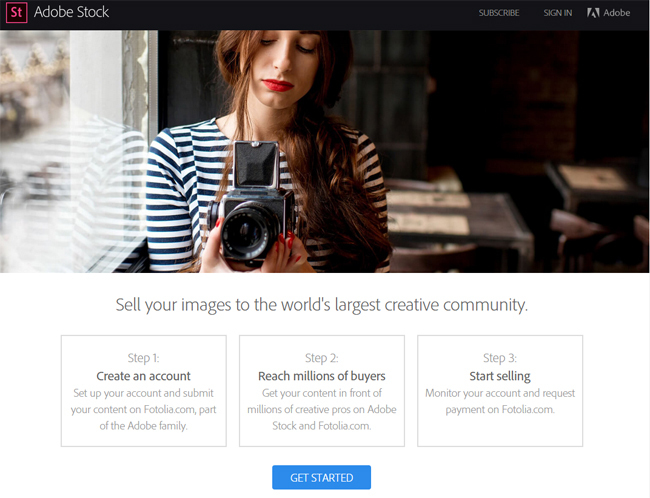 Like most stock media agencies, Adobe Stock allows you to purchase individual images. Each image cost $9.99, which is a bit higher compared to other stock sites. What sets AS apart from other cheap stock photo sites is their premium collection of images from inspiring contributors around the world. If you are looking for a high quality image for a one-time use only, this is the option for you. 10 images plan. Need more than just one image? This is the plan for you. It comes with 10 Adobe Stock photos per month. Although it is an annual plan, you pay for it monthly. A limited offer is in succession, so you might want to catch it now! Don’t worry its cancel risk-free. If you think this is not plan for you, cancel your subscription within the first month without using up your image downloads. 350 and 750 images plan. These are larger image plans for larger creative needs. Let’s say you’re working with multiple companies or running a media your own media company and you require large volumes of high quality images. These plans are perfect as they allow you to make additional downloads for only $0.99 per image. All Adobe Stock photos come with a standard license. This means you have perpetual usage rights. You can use the images multiple times with a few restrictions. The stock site does not currently offer extended license. If you do want to purchase additional seats and unlimited reproductions or resales, you should check out other stock sites such as Fotolia.